In this week’s episode we speak with two robot passionates who have been bringing you news and views on robotics through their blogs. 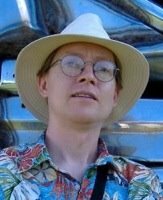 We first speak to Steven Rainwater from Texas who is a founding editor of robots.net, a news website on robotics. We then go to Boston where Mikell Taylor talked to Sabine about the IEEE Spectrum Automaton blog and her work at Bluefin Robotics Corporation on Autonomous Underwater Vehicles. Steven Rainwater is one of the founding editors of robots.net, one of the longest-running news sites devoted primarily to robotics on the web. Along with two other robot obsessives from the Dallas Personal Robotics Group, he has been actively running this online community since 2001. Rainwater takes us on a journey into the history of the hobbyist robotics community, starting in the days of BBS before the internet had a chance to make a foothold. He then tells us about his experiences in the hobbyist community, and some of his worries about the future of the field. Will hobbyist robotics continue expanding, or will it disappear with the arrival of the Roomba? He may have the answer. 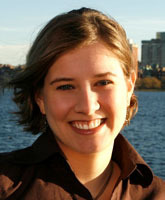 Mikell Taylor’s passion for robots has had her blogging away on the IEEE Spectrum Automaton blog. Comfortably seated in her Boston kitchen, she presents her expert insight on robotics in the media, her view on what to look for in the future and why consumer robots have a special place in her interests. Besides scanning the web for robot scoops, Taylor is a system engineer at the Bluefin Robotics Corporation where she works on sensor ridden autonomous underwater vehicles for the military, commercial purposes or.treasure hunting! She gives us a behind the scene overview of what these missile-like robots have been doing in the great blue and the challenges to overcome in navigation, control and designing hardware which will work under loads of water pressure. Delfly Micro, Microsoft’s Receptionist of the Future and WowWee’s latest robot cubs presented in the podcast.